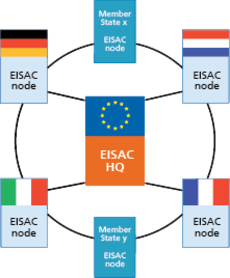 [Click for more information]EISAC (European Infrastructures See computer simulation. [Click for more information]Simulation and Analysis Centre). A European headquarters shall foster standardisation of technology, organise cross-border collaboration, and provide support at EU level. [Click for more information]CIP bibliographies), glossaries, tool repositories, repositories of models, enquiries to experts, and much more, via the CIPRNet/VCCC web portal. Identification of end-user groups, the descriptions of targeted services and identification of benefits for end-user groups. [Click for more information]EISAC comprise the following measures. [DIESISd] Rome, E., Ruzzante, S., Görbil, G., Luiijf, E., Design study of a European The Research Infrastructures part of the FP7 Capacities Programme supports an innovative way of conducting scientific research (referred to as e-Science) by the creation of a new environment for academic and industrial research in which virtual..
[Click for more information]CI stakeholders in EU Member States.